Pow-R Wrap Pipe Repair Kit Fiberglass 3 "**Sets like Steel**FREE SHIPPING!! New improved UV resistance formula. 2 Gallon kit covers around 50 sq.f. (layer thickness 1.5-2 mm) Surfaces coated with this product are very durable, water resistant and easy to care for. Detailed instructions are included with each kit. You will receive 1/2 gallon of resin and 1/2 gallon of hardener for a total of 1 gallon. You will also receive detailed coating / castinginstructions. 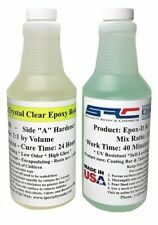 Epox-It 80 is a two part multi purpose ultra clear coating and casting system. If mixing by weight, mix 100 parts of resin into 83 parts of hardener. When mixing this product, make sure to use a round cup & mix thoroughly scraping all sides and bottom of mixing container. Improperly mixed epoxy can create a major headache. We stand behind our products. width: 7.5 x height: 5.1 x length: 4.5 x weight: 4.8. Pro Marine Supplies Crystal Clear Bar Table Top Epoxy Resin Coating for Wood Tabletop - 1 Gallon Kit. Produces a Tough, High Gloss, Water Resistant Coating. Self Leveling and High Gloss U.V. Resistant Formula. (1 GL - Base & 1 GL - Curing Agent). Hi-Gloss Ultra Clear Epoxy Resin Kit. - Provides a clear gloss surface without sanding or buffing. 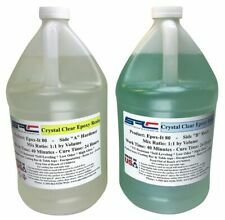 - Zero surfactant or UV additives allow it to cure almost crystal clear. Epox-It 80 is a multi-purpose high gloss clear epoxy resin. This is a two part professional grade clear epoxy resin that will produce a super gloss finish on a variety of surfaces.Instructions Included with every order. Detroit Tough Ultra Clear Epoxy is a two component, 100% solids, epoxy resin system. 16 sq. feet per gallon coverage as a flood coat and 48 sq. feet per gallon as a seal coat. Yellowing can occur when you pour this resin more than a 1/4" in one pour. High temp Silco 3 oz Food Safe RTV Silicone Sealant Adhesive Red NSF FDA Grade. Condition is New. Shipped with USPS Parcel Select Ground. Glue material: Silicone Sealant. Glue color: transparent. 1x Silicone Rubber Glue. Good electrical insulating performance and stability, colorless, transparent. Temperature Resistance: -60℃~200℃. Size: about 12.5 x 3.5cm. Makes a great two part epoxy wood glue. Table Top Epoxy Resin Crystal Clear Bar Coating For Wood Making 1 Gallon Kit. This kit includes 1/2 gallon of A Side and 1/2 Gallon B Side Totaling 1 Gallon. Crystal Clear Bar Table Top Epoxy Resin Coating For Wood Tabletop - 1 Gallon Kit. 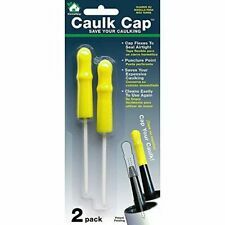 Caulk and Adhesive Gun (Tool Only) (XGC01Z). of dispensing force, while the variable speed trigger enables you to match the speed to the application. Its 5 speed dial optimizes flow rate from 0-66 IPM, while the drip-reduction feature automatically relieves pressure to the material when trigger is released to prevent unintentional dispensing. Epoxy coating which may be accelerated by mild heat to 160F. Weight per Gallon: 9.6 Lbs. Base Resin A-Side Curing Agent B-Side. Produces a Tough, High Gloss, Water Resistant Coating. Excellent Color StabilityImproved Impact Strength. Uses: Ultra fine Cracked basement walls, Ultra fine cracks- pin holes, repair of leaking snap-ties , gravity feed, Any cracked concrete item including concrete statues etc. 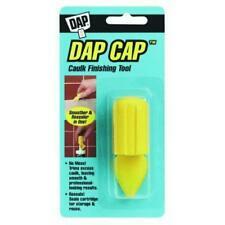 Excellent quality, all purpose caulk for sealing a wide variety of interior and exterior surfaces. It contains silicone additives for greater flexibility and adhesion. ALEX plus is paintable with latex or oil-based paints. ITC-100HT is a proven ceramic coating for furnace, kiln, and forge refractory linings. The proprietary blend of ceramics in the coating absorbs and re-reflects the radiant heat into the hot zone evening out temperature profiles and reducing the energy needed to achieve the target temperature by 5-15%. 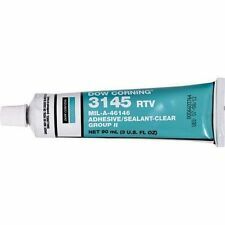 Permatex Black Silicone Adhesive Sealant 365g Low odour formula! General-purpose, black RTV indoor/outdoor sealant. Protects and repairs electrical wiring. 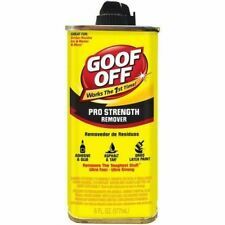 May be applied to horizontal or vertical surfaces. Total thickness is 35 mil. The elongation factor is very high, which permits RoofSeal to expand or contract with changing conditions. RoofSeal can be made to fit around certain objects, as it is able to stick to itself.